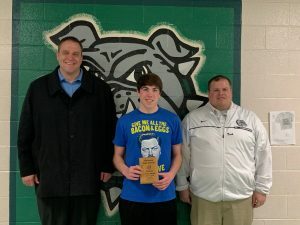 The Nichols Insurance Agency Athlete of the Week is Andrew Willett of the Basketball team. Andrew has been a phenomenal teammate, always carrying a positive attitude. He is one of the hardest workers on the team and exemplifies what it means to be a student-athlete at Monrovia High School.